This football is made from lightweight, super-grip foam. 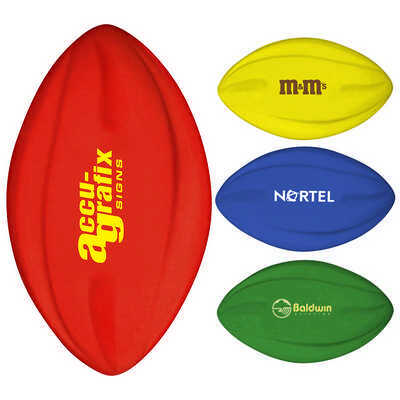 It`s aerodynamic design makes it easy to throw and catch for any skill level. It`s also durable, so you can use it in all playing conditions. Perfect for smaller hands and great for the beach, park or football field.One colour print, one side only. Colours: Red, Green, Blue or Yellow, Dimension: 125mm long. Price includes : 3 Day Service* Screen / Pad imprint - One Colour/Location. Setup is included.